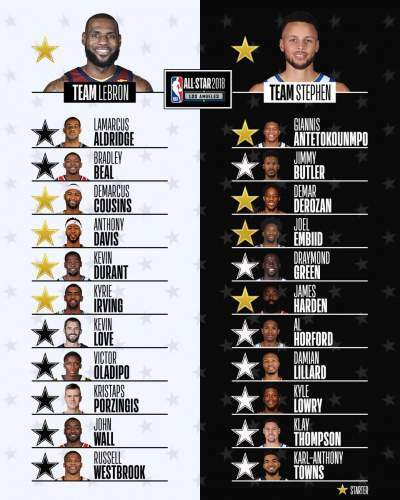 2018 NBA All-Star Rosters: #TeamLeBron vs. #TeamStephen - Balita Boss! The team rosters for the 2018 NBA All-Star Game has been set today (January 26). Check out below the complete lineup. Team James as drafted by team captain LeBron James of Cleveland Cavaliers. Team Curry as drafted by team captain Stephen Curry of Golden State Warriors. The 67th NBA All-Star Game will take place on Sunday, Feb. 18 (Feb. 19, PHL time)) at Staples Center in Los Angeles.